DJ Astronomar, who’s originally from Juneau, will perform in Anchorage. DJing punched Astronomar's ticket around the world, but his magical music moment happened at home. Summertime in Alaska. Downtown Anchorage streets closed and packed with party people. Astronomar bobbing behind the turntables, spinning his songs at ridiculously high volumes. One of the world's hottest performers prepping to go on after him. "That was really incredible – probably the biggest electronic show ever in Alaska," he said, thinking back on the history and histrionics of the 2016 evening that he opened for Diplo, the famous DJ/producer/pop culture icon. "I felt like I had done a lot to represent Alaska in dance music," he added, referring to his years of touring as a DJ and making music as a producer. "But that show was huge and it was great to be a part of it. I felt like a hometown hero, like I got put on." In reality, Astronomar was a standout talent in Alaska's tight-knit DJ and dance music communities long before the night that put Alaska on the EDM GPS. He came up through the AK ranks, playing all sizes of parties and bars, underground raves and all-ages breakdancing jams. He was one of the brave and bold to leave Alaska and make a living DJing and creating music in bigger scenes: first, based in Seattle for five years; then, Los Angeles, where he's lived the past six. "I just got back from the gym, got a pool party in a little bit," he said during a recent Sunday afternoon phone conversation from L.A., where he's still rocking a 907 area code on his cell. "It's convenient living here. You can fly anywhere. There's lots of talent here, lots of people to collaborate with and link up with. It's an inspiring place to be. And the weather's great." Spoken like a true Southeast kid. Born and raised in Juneau and of Tlingit heritage, Astronomar (Marlon Lumba) has indeed traveled the globe playing music. He also produces original songs. His new EP, "Nature's Candy," dropped in early August – remixes established tracks from a variety of musicians, offers artists a platform as part-owner of a record label, Main Course, and is constantly connecting with creatives. 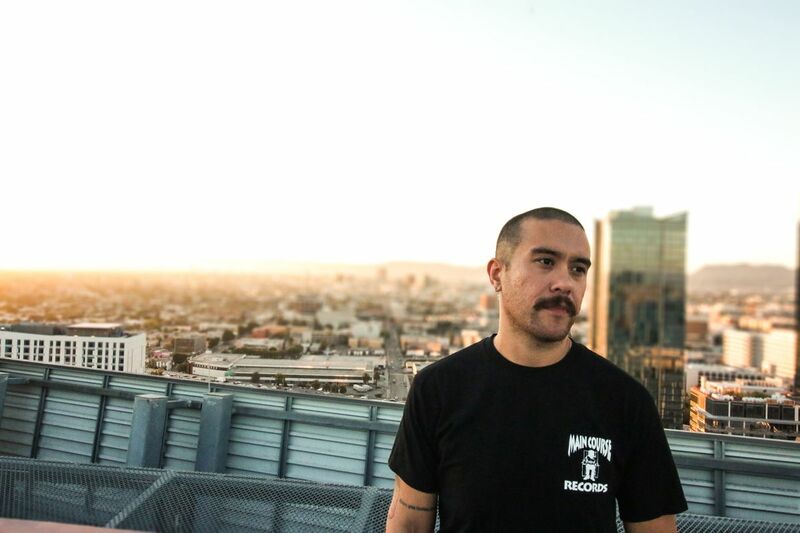 After years of grinding as an up-and-comer, superstar DJs began mixing Astronomar's cuts into their sets recently, including Skrillex dropping Astronomar's remix of Wax Motif and Neoteric's "Go Deep" at Coachella. "There was a long time when I was making tracks … and I kept getting better, practicing, putting in hours, trying new things," he said. "("Go Deep") was my breakthrough. I did that remix and two years later it blew up. Everyone was playing it. … People slept on that track. People say it was a little bit ahead of its time, so I guess the scene caught up." He added, with a laugh, "Not to say I'm a forward-thinking producer, but maybe I am." Not to say that he isn't loving living in the present, either. "I never in my life imagined I'd go to Australia, Italy, France, Croatia to DJ," he said, then added, "It's unreal. I feel so grateful, but I definitely worked for it. It's a fantastic life." One of the best parts, he said, is returning to Alaska a few times a year – usually to visit family, occasionally accompanied by big-name DJs. This weekend, he's bringing breakthrough star Wax Motif to Fairbanks (The Pub at UAF) and Anchorage (Koot's). "It's my home territory and definitely important to keep those lines active," he said. "It's always really cool to come back. Since I moved away, more DJs and people are throwing events, people are more educated and getting into (electronic dance music), and dance music in general has evolved almost to like a state of pop. And it's definitely good for the scene to have DJs of really good caliber coming through more often." Of the upcoming gigs with Wax Motif, he added, "They will be high energy, underground dance music. I will play tons of unreleased stuff, from my label and my friends, and fun dance music. And (Wax Motif) kills it – he puts on a great show, super-hype, gets the crowd engaged." He calls Wax Motif "a workhorse" whose hustle has made the Australian a sought-out performer, producer and collaborator with dance music dignitaries and rap and hip-hop heavies alike. Don't know him? A quick Google or YouTube search will connect you to a collection of songs, videos and live performances with millions of plays. Astronomar isn't racking up those numbers quite yet, but he's digging the trajectory: steady growth, continual creation, wider recognition, and enjoying every opportunity to play his music for fans, friends and strangers, wherever they congregate. "I love playing my stuff out – that's why I make tracks," he said. "It's the best feeling."